Congratulations to everyone on surviving the first half of the semester! Congratulations to everyone on surviving the first half of the semester! We had hugely successful runs of our first two productions of the academic year: Little Shop of Horrors and the Fall MFA Dance Thesis Concert ( dwelling by Stacey Carlson and Hamlet by Christine Hands). We filled the house and received numerous accolades for these incredible works! Check out the reviews below. Congratulations to all involved! 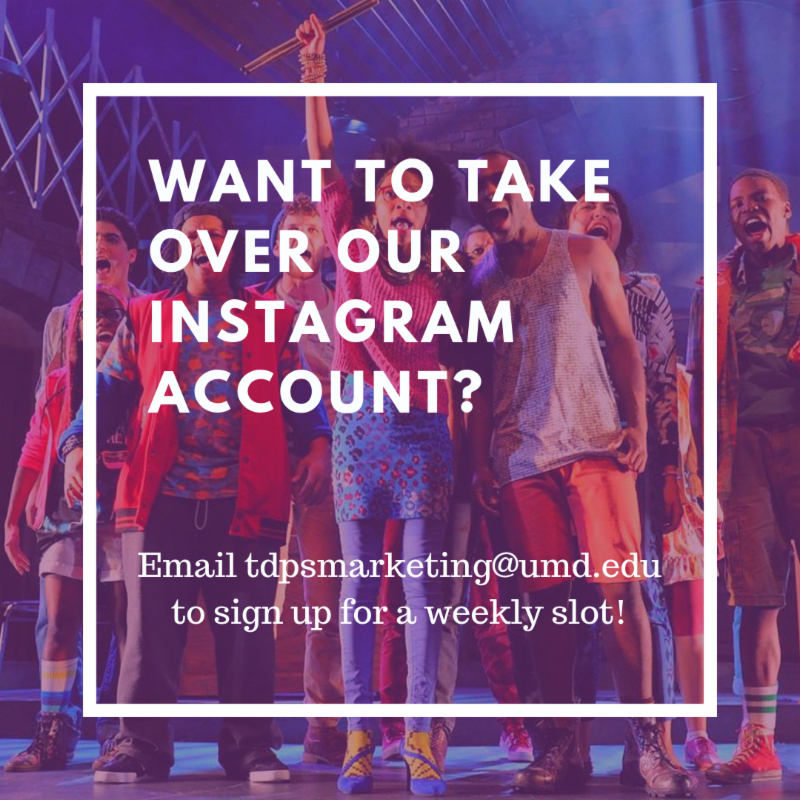 It's already time to start thinking about next semester, so check out the opportunities for courses, auditions, internships, and more below. Are you a TDPS student, faculty member, or staff member? Show us what a week in your life at TDPS looks like! Are you interested in acting, hosting, content creation, broadcast journalism, social action or how to use art for social change? 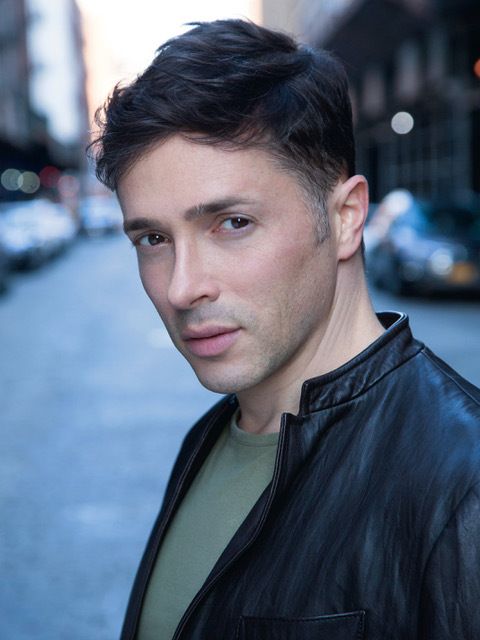 Join actor, host, and social journalist Yuval David (BA Theatre '01) for a session about his journey from UMD to NYC and how to create a career that combines these areas. Class auditions and interviews for Spring 2019 are happening this week! Slots are open for Voice for the Actor I (Lisa Nathans), Character Development (Leslie Felbain), Viewpoints (Jennifer Barclay), Advanced Playwriting (Jennifer Barclay), and Musical Theatre Workshop - Classical Period (Scot Reese). More information here . Mark your calendars! Save the date for Creative and Performing Arts (CAPA) Scholarship Auditions for incoming Fall 2019 Theatre and Dance majors will be held on Monday, December 17th. Dance auditions will run 10am-2pm and Theatre auditions will run 12pm-4pm. for the Fearless New Play Festival! The second night of the New Play Festival (Friday, March 8) will be an evening of staged readings of new 10-minute plays by current undergraduate and graduate students. 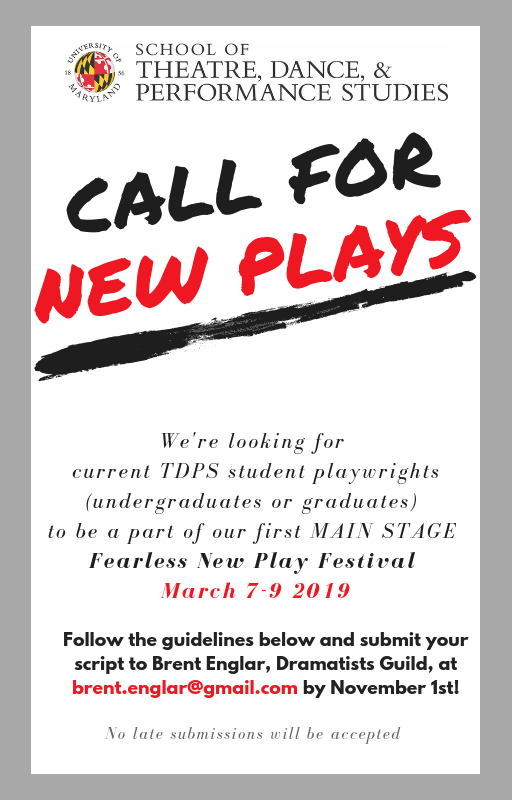 Submit your new play now! Check out the submission guidelines here. Submissions are due on Thursday, November 1. No late submissions will be accepted . UTAS will be holding one more town hall meeting this semester on November 19 . The meeting will be at 12PM in Mulitz-Gudelsky Rehearsal Room (Room 3730). EVERYBODY is invited! Please come, bring your lunch, listen, and contribute to the conversation. Come on down to the club, dear hearts, and bring your fabulous selves! Avant Bard proudly presents the world premiere of ILLYRIA, or What You Will, freely adapted from TWELFTH NIGHT by Jonelle Walker and Mitchel Hébert, directed by Mitchell Hébert. The production is directed by Professor Mitchell Hébert and adapted from Shakespeare’s Twelfth Night by Hébert and PhD student Jonelle Walker. The cast includes TDPS alumni Montana Monardes, Katie Gallagher, and Matt Sparacino, and the creative team includes Aaron Bliden (BA Theatre, music composition), Kristen Ahern (MFA Design candidate, costume design), Emma Hébert (BA Theatre, choreography), and Claudia Rosales (MFA Performance, intimacy director). Performances are October 25 to November 11. Tickets are $40 and available online at or by calling 703-418-4808. More information here. 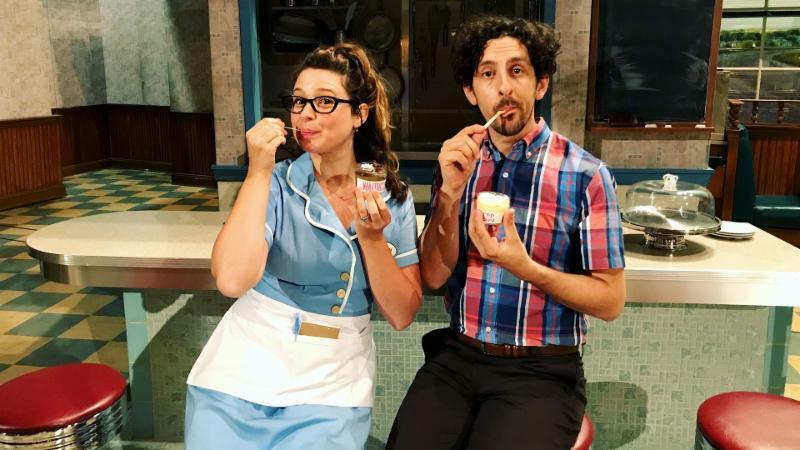 Adam Shapiro (BA Theatre '02; TDPS Board of Visitors) and Katie Lowes in the Broadway musical "Waitress"
Adam Shapiro (BA Theatre ‘02; TDPS Board of Visitors) and his wife Katie Lowes were featured in Maryland Today last week for their work on the musical Waitress on Broadway. 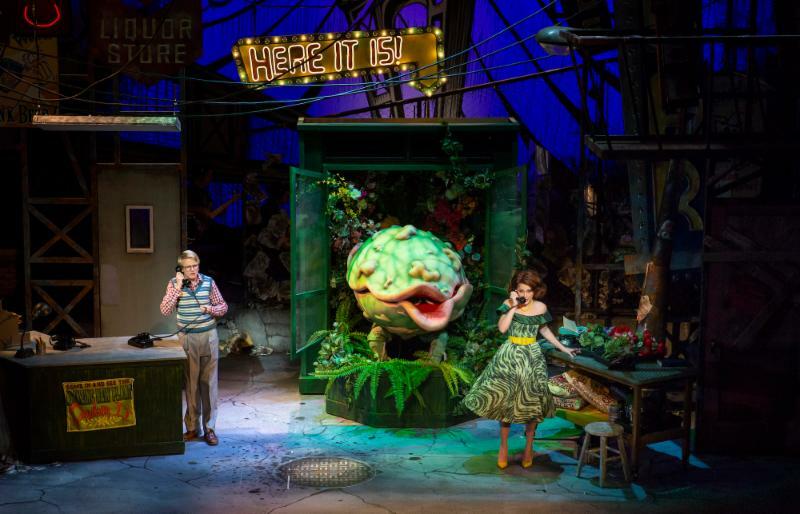 Check out the reviews of Little Shop of Horrors in DC Metro Theater Arts, The Sentinel, and the UMD Writer's Bloc. Congrats to the cast and crew who created this amazing production! 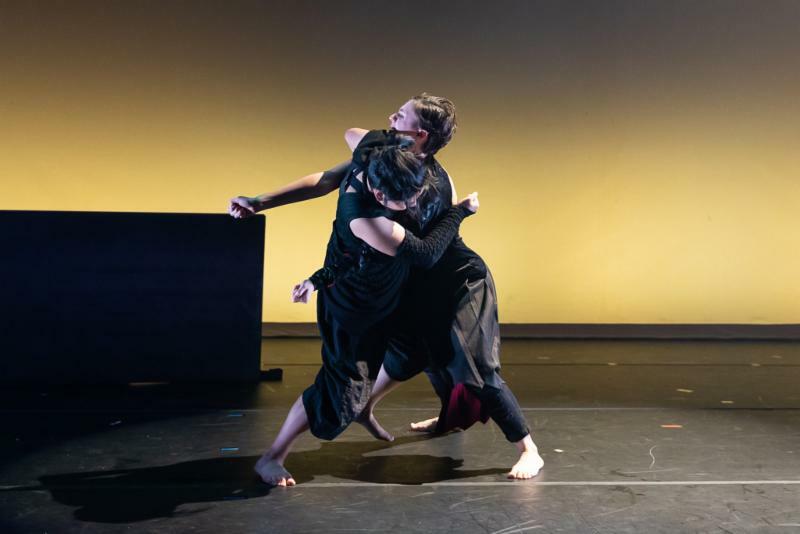 Check out this review in UMD’s Diamondback of the Fall MFA Dance Thesis Concert. Congrats to the choreographers and teams involved in these two breathtaking pieces! Tim Jones (Props Shop Supervisor at The Clarice and Adjunct Faculty) was profiled in a blog spot by Stephanie Selzer for part of a class project for Journalism 604. Check it out here. Tessa Lew (Costume Draper at The Clarice and Adjunct Faculty) was recognized by Miriam's Kitchen as the volunteer of the year for their art studio. What's the difference between a routine production and a truly visionary one? Where does "vision" come from, and what kinds of collaborations and artistic processes can lead to visionary results on stage? 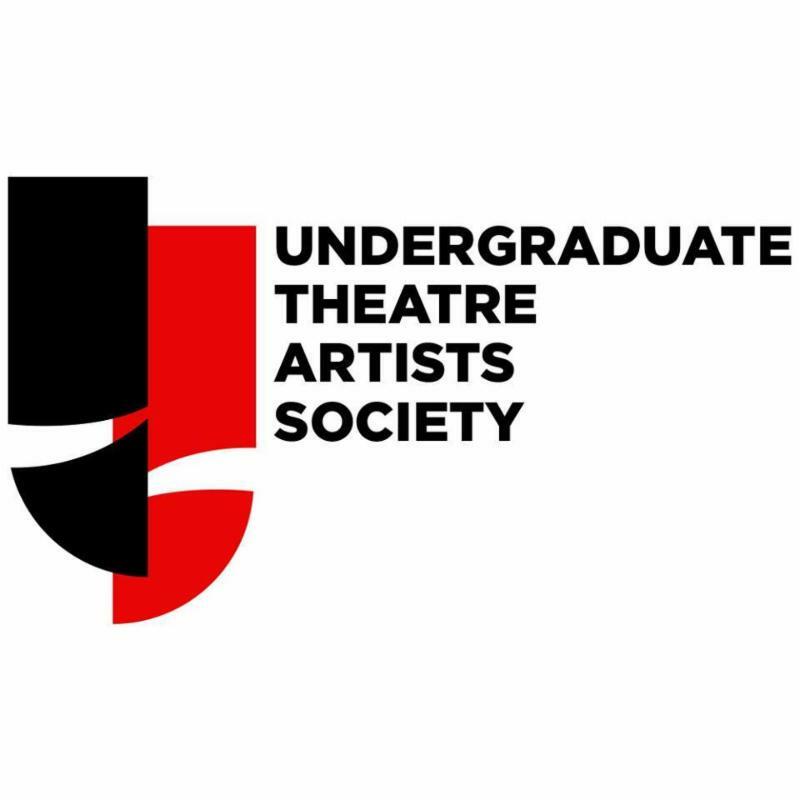 In this graduate level seminar -- intended for advanced designers, directors, playwrights, and actors -- participants will gain hand-on practice with a number of key concepts that provide a framework for collaboration among all the members of a creative team. We will then analyze a number of visionary productions (on video) from both the United States and Europe, and learn about the collaborative processes that led to them. Finally, small teams will be formed to select their own projects and engage in their own visionary collaborations. Howard Shalwitz is co-founder and Artistic Director Emeritus of Woolly Mammoth Theatre Company in Washington, DC. He was the visionary force behind the company for 38 seasons, steering its adventurous play selection, guiding the development of dozens of new works, building a renowned company of artists, and leading Woolly in the creation of its award-winning downtown theatre which opened in 2005. Howard has directed new plays by Clare Barron, Jason Grote, Sheila Callaghan, Aaron Posner, Doug Wright, Amy Freed, Regina Porter, Nicky Silver, and many other leading American playwrights, at theatres including New York Theatre Workshop, Playwrights Horizons, Arena Stage, Portland Center Stage, Milwaukee Rep, as well as Woolly Mammoth. In 2014 he received the Margo Jones Award from Ohio State for his lifetime commitment to new American plays, and in 2011 he was named Distinguished Finalist for SSDC’s Zelda Fichandler Award. Using puppetry and live-feed cinematography, this course will explore the question of how we tell stories. We will investigate both practical and theoretical studies of these engaging multi-disciplinary mediums inside and outside of class. It takes a delicate balance to juggle two very different but complimentary mediums. For visual inspiration, we will look at works by Jim Henson, Julie Taymor, Hugo & Ines, The Quay Brothers, Philippe Genty, William Kentridge, Hotel Modern, Paul King, Basil Twist and so much more. There is an expectation that you will also bring in sources for the class to examine. The class will be part lecture based part studio work. We will devise theater exercises and create filmed presentations of art work in class, both in and out of class, individually and in small groups. Both the Midterm and Final Exams will be performance/film based. Studio Theater Acting Conservatory is offering the following acting company workshops this fall: "Singer's Process" and "Mask Workshop." Check out more information on their flyer. Second Season’s February production of Hapa by Jenna Gerdsen is seeking a petite female presenting dancer, preferably with experience in mask work, as well as projection, costume, light, and sound designers. The show the weaves Jenna's personal upbringing in Hawaii with the island-state’s colonialist history and tourist economy. Email Jenna for more information. Fame: The Musical is seeking bilingual musical theater actors and dancers for its premiere at GALA Hispanic Theatre in Washington, DC in May 2019. The production will be directed by Luis Salgado, who directed and choreographed the 2016 Helen Hayes Award winning In The Heights en Español at GALA. Check out more details on the flyer. The Folger Theatre and Folger Shakespeare Library are seeking friendly and enthusiastic individuals to join their House Management team. Interested candidates should submit a cover letter and resume on their website.